Supplement powders are a common go-to product for health nuts, fitness gurus, and bodybuilders alike. While the number of interesting flavors is increasing, the same old shakes and drinks get old. You might want to give protein powder cooking a try. It can kick up your diet, routine, and results. 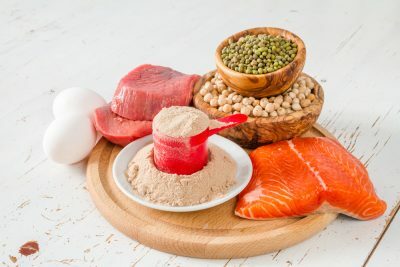 High protein diets are very popular because they offer many benefits such as weight management and improved metabolic health. There is a lot of talk about cutting out fats and lowering your carb intake. Those are only two of the important macronutrients you should monitor. Protein is the third and a proper balance of all three is essential to your health regardless of your goals. Increasing your protein while reducing the number of carbs you consume can assist in losing fat. The additional protein also helps you feel fuller for a longer period of time (1). Add more fish to your plate and cut you helping of rice in half. Boosting your protein intake has been shown to lower your triglycerides, LDL cholesterol, and blood pressure (2; 3). This means boosting your protein intake can lower your risk of cardiovascular disease and improve your heart health. Some argue that protein can increase your acid load and is detrimental to your bone health. Most experts agree that this is untrue and unfounded. A high-protein can help you better maintain your bone density as you age. It will also reduce your osteoporosis and fracture incidences (4). Protein is, of course, a vital building block for protein synthesis. It helps repair after intense physical activity. This means eating more protein not only helps you gain muscle but can also boost your strength and endurance. You can also lay your rice on a bed of fresh baby greens or toss in some steamed broccoli. Switch to quinoa for even more protein, fewer carbs, and no gluten. Sweet potatoes are a lower carb option over white spuds. Don’t cut too many carbs. Your body requires them as fuel to build your muscles. Don’t forget to include plenty of micronutrients as well. Eat snacks from the local farmer’s market to boost vital vitamins and minerals. Try to incorporate one or two into every protein powered recipes. You should get at least 225 grams of carbohydrates every day. It is vital fuel for building muscles, shredding fat, and basic bodily functions in general. Lowering or eliminating your carbs and boosting your protein sends your body into ketosis. This is a metabolic state in which your level of tissue ketones is heightened. When your body is in ketosis it burns fat because it lacks carbs for fuel. It cycles and naturally completes this process as well. Excessive ketones can change the chemical balance within your blood. It becomes too acidic and severe cases can result in coma or death. Other examples of this type of diet are Paleo and Atkins programs. It is also sometimes used as a co-treatment for certain types of epilepsy and seizure disorders. It is important not to kick it keto until you get the green light from your doctor. Boosting your protein can be very difficult depending on your health goals. Powdered supplementation is a powerful tool which is convenient to boot. It’s perfect for the busy professional or soccer mom. There are both animal based and veg-friendly proteins available on the market. There are also fast acting and slow digesting powders. You can take it further by cooking with your protein supplement. You can use protein powder in shakes, smoothies, and no bake cookies. You can also add them to your favorite cooking and baking recipes. There is great debate about whether or not heating supplement powders destroys the protein. 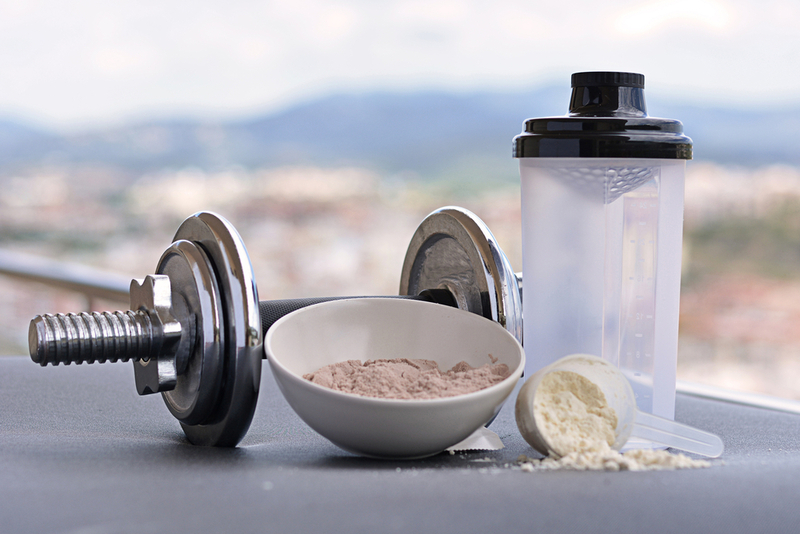 While there may be some potential damage to cooking with protein powders, it can still boost your daily intake. There is little on the scientific front on protein cooking trials. Most studies have investigated milk specifically. It is a pasteurized dairy product and therefore heated. This protects you from harmful bacterial contamination. One study group believes that whey protein can play a vital role in nutritious heat-treated food products. This is due to its proven value as a source of complete aminos (5). Look for whey protein snack bars on your local grocery store shelf. Heat processing does alter the chemical structure of proteins. Heating does not necessarily destroy it. A seared fillet from the grill is a power source of protein. The amount you benefit from is directly related to how much you consume. The second factor is exactly how your body metabolizes protein. Even if you decide against cooking with your supplement there is a wide variety of uncooked ideas. You can whip up a savory veggie smoothie or chill some protein-packed breakfast bars. There are hundreds of sweet-tooth satisfying ideas too. Think dark chocolate Novaks. Try soy nut butter, if you have nut allergies. It offers about the same amount of protein as peanut butter tablespoon for tablespoon. Many nut butter alternatives are generally lower in fat as well. 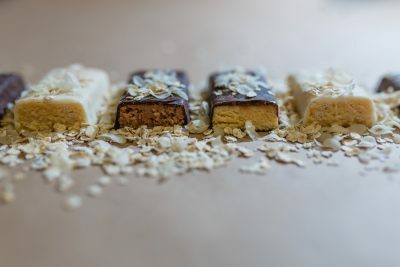 There are all sorts of raw nutrition bars and energy bites to try too. Check out some recipes and consider your health goals. It’s pretty simple to switch up your ingredients a bit to align with your health goals. Keep in mind that raw protein powders expire quickly. They are best when used immediately but they are safely refrigerated for around 48 to 72 hours. Always use a container with a tight-fitting lid. Make a few grab and go batches for your afternoon workout or work snack.